While there have been remarkable advancements in plastic surgery that can reverse or delay the signs of aging, there is no way to actually stop the aging process altogether. When considering the process of aging in the skin, we typically focus on the face. Here is where aging is most pronounced and unfortunately, a place where we prefer it didn’t happen. Wrinkles – This is what we primarily think of when we consider looking old. Wrinkles appear around the lips, eyes, forehead and chin. You may also hear these wrinkles called marionette lines, smile lines, crow’s feet, etc. A change in your skin’s elasticity can cause the formation of wrinkles. Sagging – Gravity pulls things down, and your facial skin is not excluded. Sagging is most evident in the lower half of the face but can also be seen in the upper eyelids and under eyes. Sagging skin occurs when we lose volume in the face over time. Pigmentation – Environmental influences and even genetics can cause dark spots and an uneven skin tone as you age, especially around the eyes. Microvasculature Changes – A less discussed characteristic of facial aging is microvasculature changes, which is marked by the diffusion of redness and tiny visible blood vessels at the cheekbone. 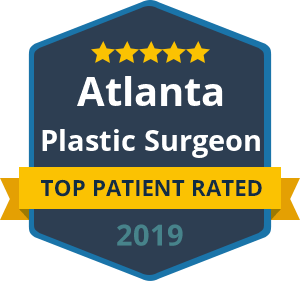 The good news is that if you’ve made some lifestyle choices that have accelerated the aging process, there is an expansive list of treatments and procedures that you can take advantage of from an experienced plastic surgeon. Dr. Talei offers both surgical and non-surgical procedures to turn back the hands of time. Leading choices are blepharoplasty (eye lift), a mini facelift (using minimal incisions) and a liquid facelift (non-surgical approach using fillers and injectables). We can find a solution that can restore a youthful and confident look. « Could Male Plastic Surgery Boost Your Career?